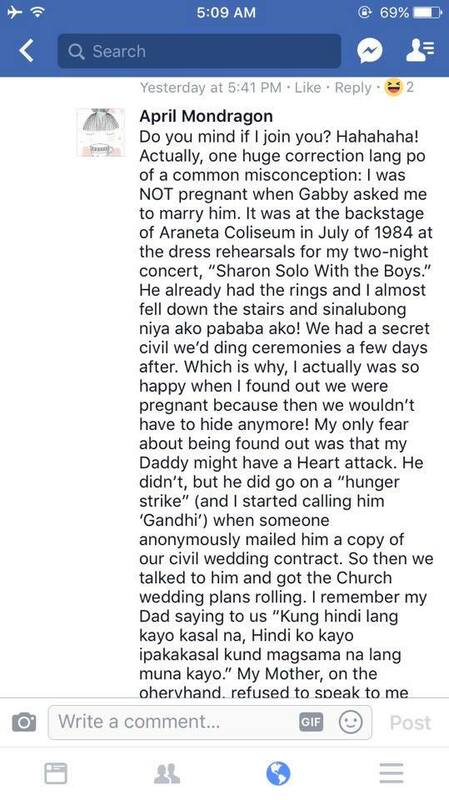 Sharon Cuneta on Gabby Concepcion's marriage proposal and their secret wedding in 1984: "It was at the backstage of Araneta Coliseum in July of 1984 at the dress rehearsals for my two-night concert, 'Sharon Solo With The Boys.' He already had the rings and I almost fell down the stairs and sinalubong niya ako pababa ako! We had a secret civil wedding ceremonies a few days after." Setting the record straight, Sharon Cuneta took to social media to quash the decades-old speculation that she and Gabby Concepcion tied the knot in 1984 because she was pregnant. Sharon, 52, and Gabby, 53, married twice. The first was a secret civil wedding on July 23, 1984, followed soon after by a church wedding at the Manila Cathedral on September 23, 1984. 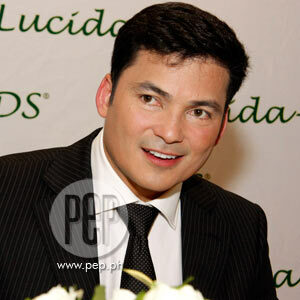 The Megastar pointed out, “Actually, one huge correction lang po of a common misconception: I was NOT pregnant when Gabby asked me to marry him. 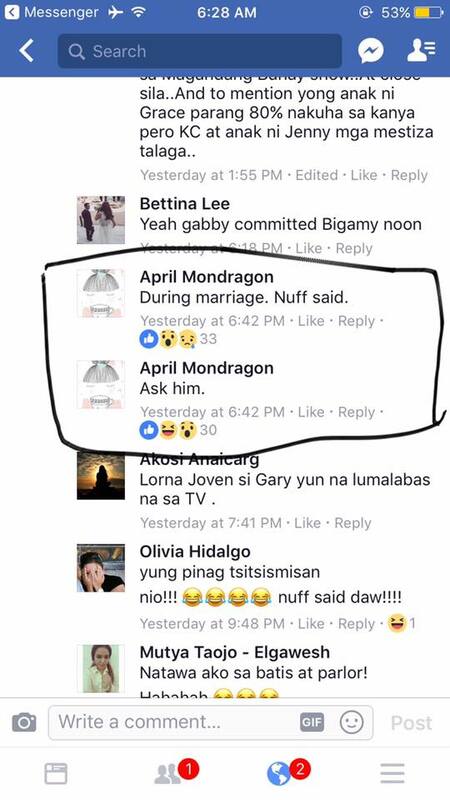 Sharon issued this clarification, along with other first-hand facts related to her marriage and breakup with Gabby, during her surprise online dialogue with netizens last Saturday, February 10, using her private Facebook account named April Mondragon. 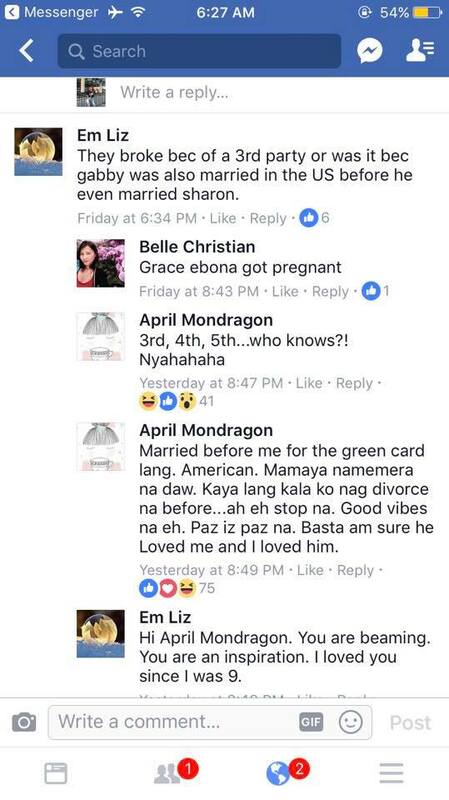 Sharon herself confirmed, via her official Facebook account, that she owns the Facebook account named after her character April Mondragon in the 1981 blockbuster movie Dear Heart. It was Sharon's debut film, as well as her first movie teamup with Gabby. In the now viral Facebook thread, Sharon answered questions about all the men she loved before, including the highs and lows of her love story with Gabby. “He already had the rings and I almost fell down the stairs and sinalubong niya ako pababa ako! Sharon went on to say that her and Gabby’s unica hija—TV host/actress Maria Kristina Cassandra, or simply KC—was a honeymoon baby. According to Sharon, being pregnant at 18 was not a problem since she and Gabby were already married at the time. SECRET WEDDING NO MORE. 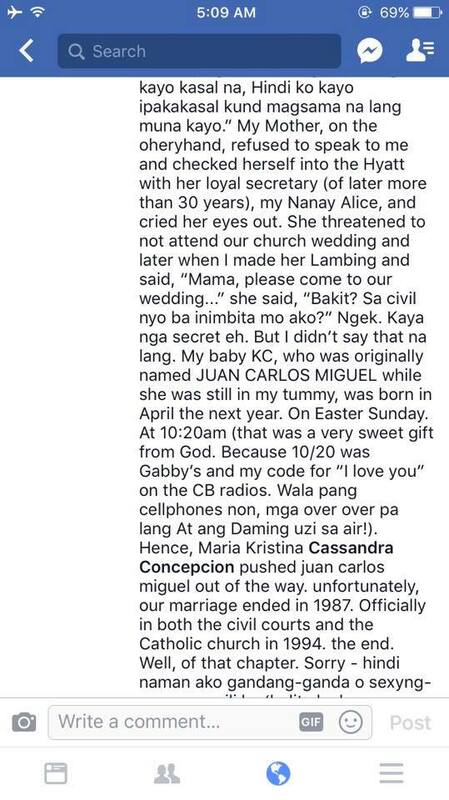 Back then, she also admitted that she was actually more concerned about breaking the news of her secret wedding to her parents, Pablo and Elaine Cuneta. Sharon's father was the mayor of Pasay City for several terms. The Megastar continued, “Which is why, I actually so happy when I found out we were pregnant because then we wouldn't have to hide anymore!" “My only fear about being found out was that my Daddy might have a heart attack. “He didn't, but he did go on a 'hunger strike (and I started calling him 'Gandhi') when someone anonymously mailed him a copy of our civil wedding contract. “So then we talked to him and got the church wedding plans rolling." Between Sharon's parents, it was her mother Elaine who felt really bad about missing her only daughter's civil wedding. Sharon recalled, “My mother, on the other hand, refused to speak to me and checked herself into the Hyatt with her loyal secretary (of later more than 30 years), my Nanay Alice, and cried her eyes out. Undoubtedly, Sharon and Gabby were head over heels in love. “My baby KC, who was originally named JUAN CARLOS MIGUEL while she was still in my tummy, was born in April the next year. “On Easter Sunday. At 10:20am (that was a very sweet gift from God. Because 10/20 was Gabby's and my code for 'I love you' on the CB radios. Wala pang cellphones non, mga over over pa lang At ang Daming uzi sa air!). “Hence, Maria Kristina Cassandra Concepcion pushed juan carlos miguel out of the way." This was the time when citizens band (CB) radio became a fad in the Philippines. THE BREAKUP. But after only three years of being married, Sharon and Gabby's relationship turned sour. Even their attempts to work things out after their first breakup also failed. The couple was last seen together onscreen in the 1992 film Tayong Dalawa. Sharon wrote, “Unfortunately, our marriage ended in 1987. But was it true that they broke up because of Gabby’s alleged womanizing? Based on Sharon’s response to a netizen who claimed that the celebrity couple broke up because of a “third party,” it seemed likely. GABBY'S ALLEGED BIGAMY. 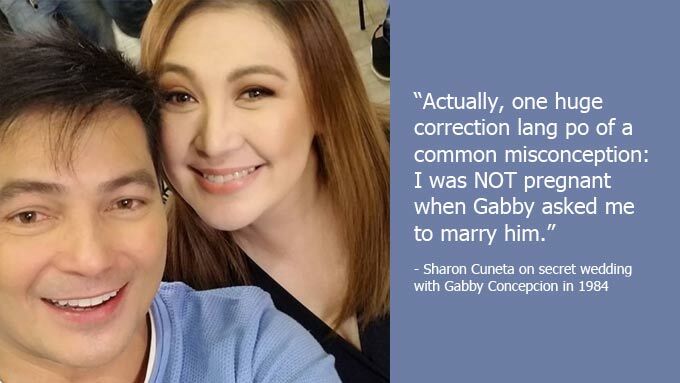 Then much to the netizens' surprise, Sharon also addressed the issue about Gabby allegedly committing “bigamy” while they were still married. In her next statement, Sharon hinted that she knew about Gabby’s first marriage to an "American" citizen, but that it was supposedly dissolved by the time the celebrity couple tied the knot in 1984. For what it’s worth, Sharon made it clear that she already buried the hatchet with Gabby. Sharon wrote, “Married before me for the green card lang. American. Mamaya namemera na daw. “Kaya lang kala ko nagdivorce na before...ah e stop na. “Good vibes na eh. Paz iz paz na. It was in May 2008 when the bigamy case filed by respondent Mamerto dela Cruz against Gabby Concepion went to trial. Previous reports mentioned that the prosecution argued that Gabby is already married to a certain Jennifer Martin prior to his marriage to Sharon in 1984. Gabby, however, entered a not guilty plea and posted bail worth P24,000. Sharon's revealing statements about the men he loved before, culled from the same online chat with netizens, will be published in an upcoming story here on PEP.ph (Philippine Entertainment Portal).